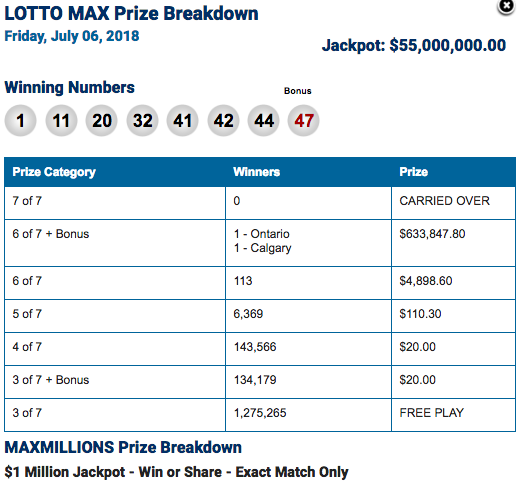 WINNIPEG - No winning ticket was sold for the $55 million jackpot in Friday night's Lotto Max draw. 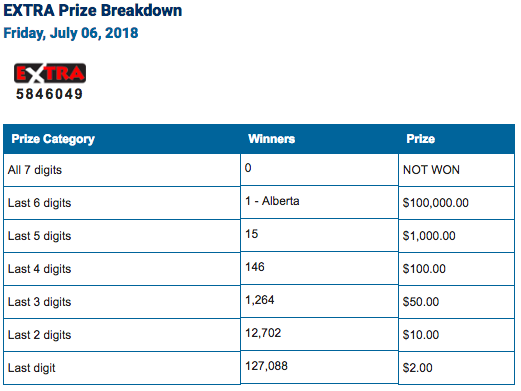 Four of the 13 Maxmillions prizes of $1 million each were claimed. 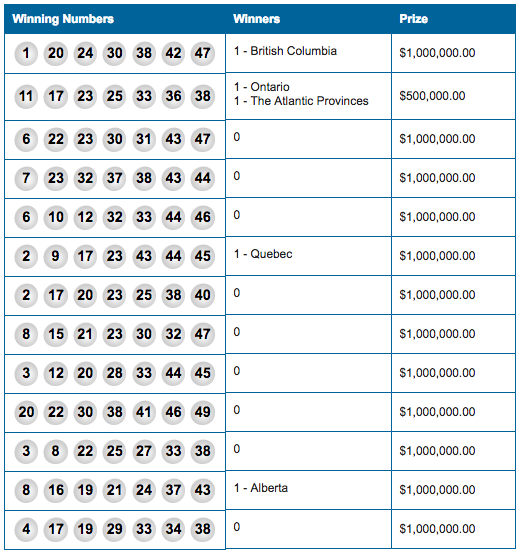 The Lotto 6/49 draw for Saturday, July 7th is an estimated $7 million dollars.